New Delhi : Samajwadi Party chief Akhilesh Yadav on Saturday praised Priyanka Gandhi Vadra's decision to step into politics ahead of crucial Lok Sabha Polls. BSP chief Mayawati has not given any reaction yet. “Rajneeti mein jitne naye log aayen, hum samajwadiyon ko usse zyada khushi hogi. Main mubarakbaad aapke madhyam se dena chahta hoon ki Congress party aur unke rashtriya adhyakash ne ek achchha faisla liya hai (SP is happy to welcome new entrants into politics. 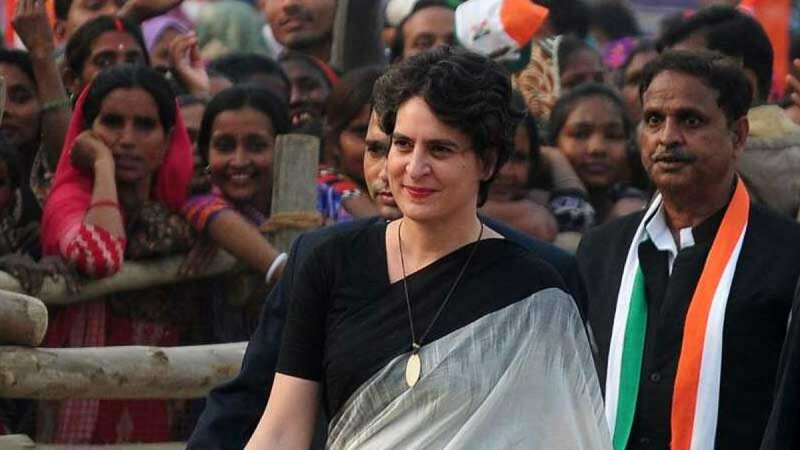 I want to congratulate Congress and its national president for the good decision that they have taken),” Akhilesh said when asked to comment on Priyanka’s appointment as Congress general secretary in charge of eastern UP. SP chief, however, tried to maintain distance from questions regarding possibility of alliance with the Congress; he focused on slamming Bharatiya Janata Party on various issues like jobs and farmer loans. Rahul Gandhi had recently said that he respects both Akhilesh Yadav and Mayawati; despite the fact that the two politicians did not chose Congress to create a grand alliance in Uttar Pradesh.